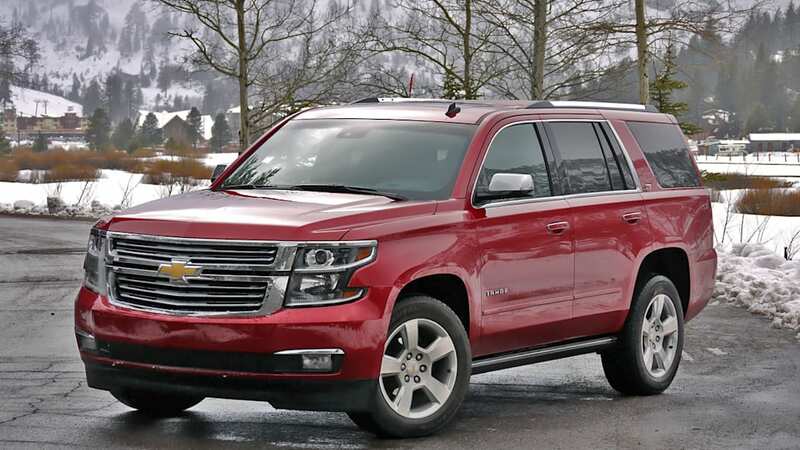 Autoblog rating for the Chevrolet Tahoe is not available. Please check back later. Remember the SUV-asaurus? As a character in an ad campaign, it made us chuckle, the general gist being that the huge sport-utility vehicles of years past were hopelessly out of date, falling prey to higher gas prices and a shifting consumer attitude toward more efficient transportation, namely the car-based crossover. 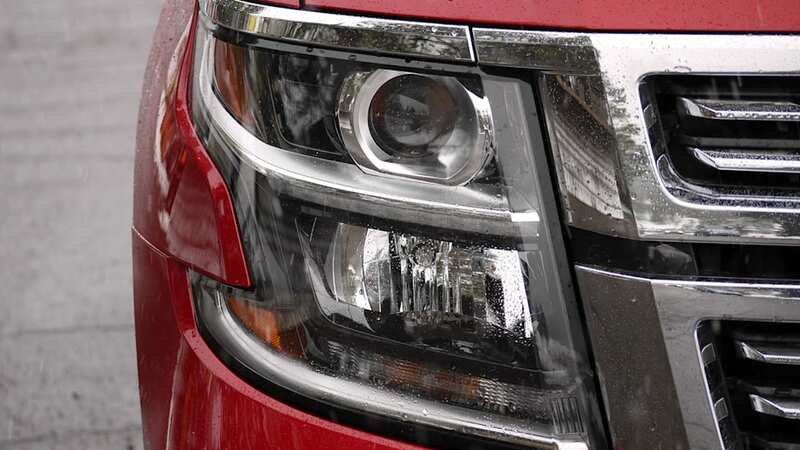 While no specific manufacturer was targeted (besides Suzuki, of course, as it was the brand that paid for the ad campaign), there were a few fullsize SUVs clearly wearing crosshairs – most obviously the Chevrolet Tahoe and Suburban and their corporate Yukon and Yukon XL twins from GMC. Humorous as it may have been to poke fun at a would-be dodo, it seems the grave meant for the fullsize body-on-frame SUV may have been dug rather prematurely (ironically, the burial plot ended up being for Suzuki itself, at least here in the States). 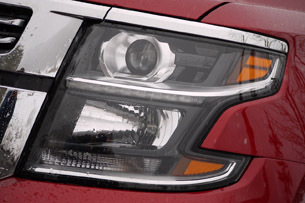 Proof positive can be seen in the 2015 Chevy Tahoe that is the subject of today's feature. 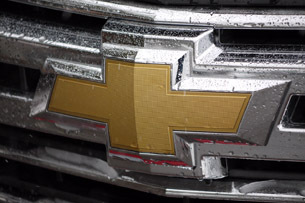 It's a completely redesigned machine, and it holds an important place in the automaker's lineup – according to General Motors, fullsize SUVs make up 1.6 percent of the US vehicle market (2.2 percent if you include luxury nameplates), and GM owns a whopping 74 percent of that chunk. Add it all up and that equals 263,948 sales in 2013. What's more, these aren't low-dollar sales, with an average transaction price of $53,000, and they are known to have particularly huge profit margins. 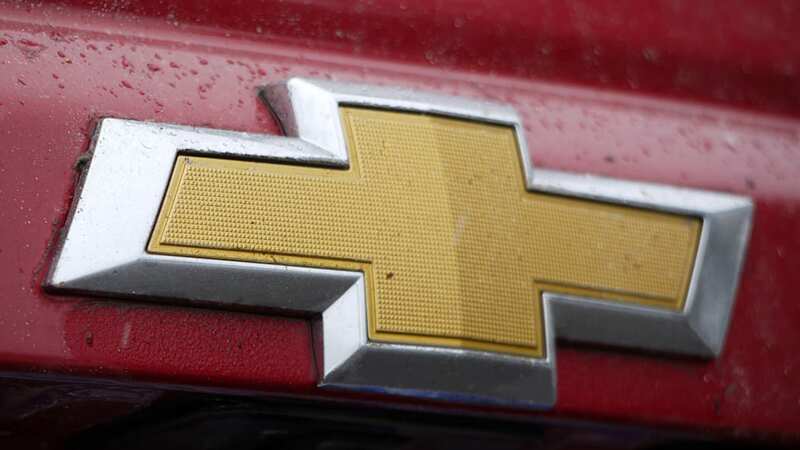 So, we've established that fullsize SUVs aren't yet dead, Chevrolet and GMC are two of the biggest players in the segment and, importantly, that the market is lucrative. 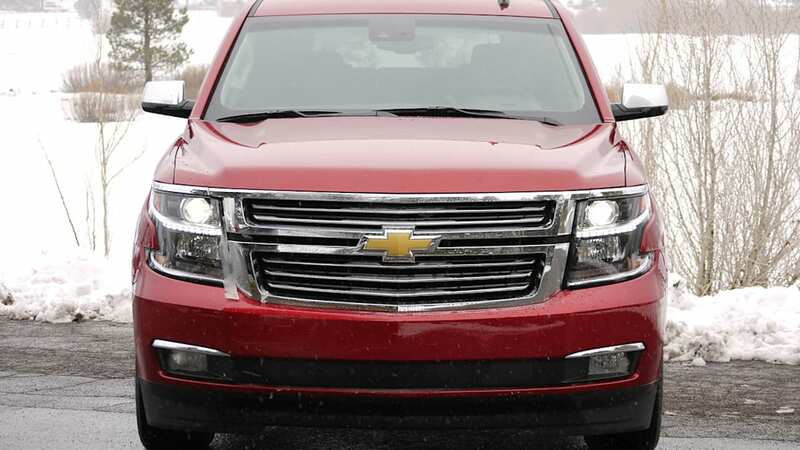 It was with these facts in mind that we slid behind the wheel of the 2015 Chevy Tahoe. Just who is it that are buying up these massive utilities, and what are the specific virtues that lead to their continued success? Let's find out. To our eyes, it looks more purposeful than pretty. 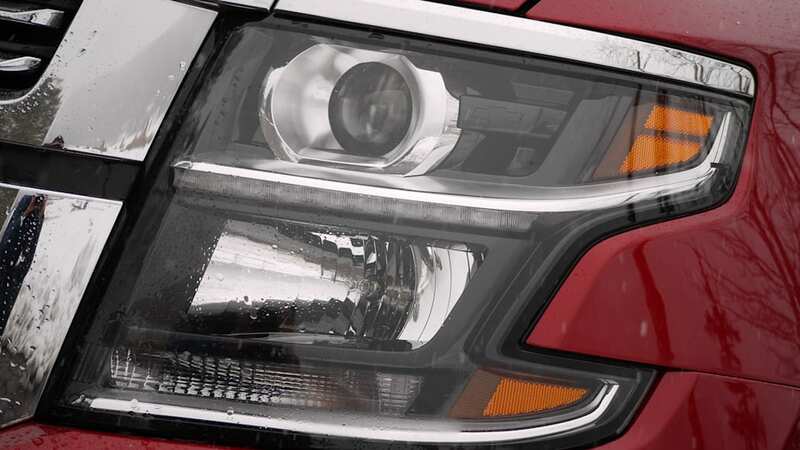 When looking through an out-of-focus lens, just about any fullsize body-on-frame sport utility is going to appear mostly like a big box on wheels. 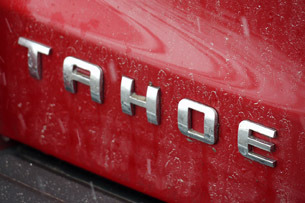 Fortunately, Chevy has gone to great lengths to give the Tahoe a distinctive look. Whether it's an attractive vehicle, though, is certainly up for debate. To our eyes, it looks more purposeful than pretty, with a handsome profile that's a bit spoiled by the strangely shaped headlamp clusters and massive, upright chrome grille. If you don't like the look of the Tahoe, remember that there's a probably a GMC dealer close by with a sales floor full of Yukons, which we think look quite a bit prettier. The good news is that its long, straight lines and vertical stance mean its interior is large, bright and airy. 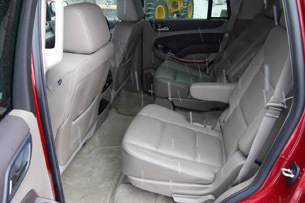 Seats are comfortable, and the leather surfaces of our LTZ tester were soft and supple. In front of the driver sits a cluster with easy-to-read gauges, including a large tachometer on the left, a matching speedometer on the right and a row of four smaller ancillaries in between. 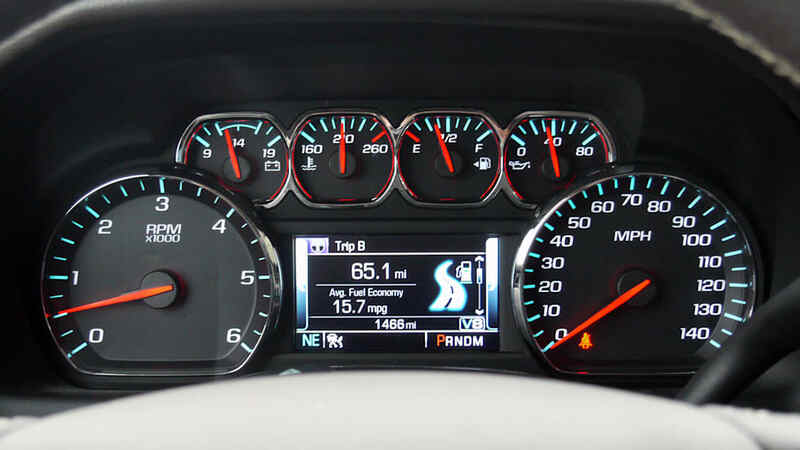 A reasonably sized LCD sits below those smaller gauges, offering the driver basic information that includes trip odometers and fuel mileage readouts. 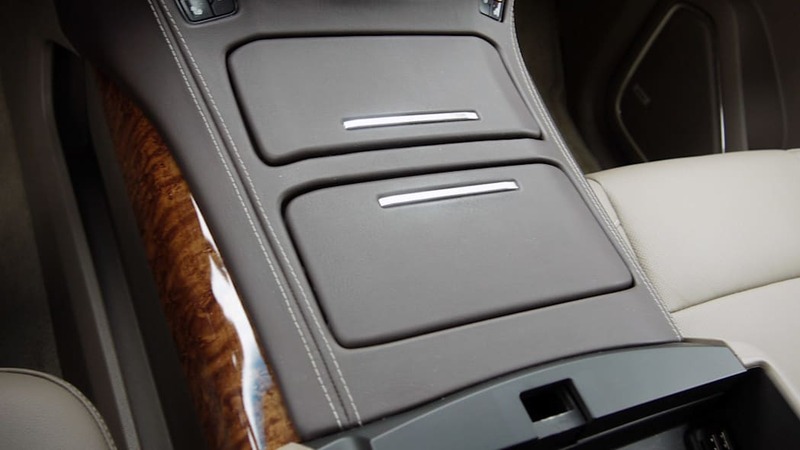 When optioned up properly, all the surfaces you can touch are covered in a soft-ish leather substitute in either gray or brown shades with attractive stitching. Similarly, the steering wheel is nicely covered and easy to put into a comfortable position. 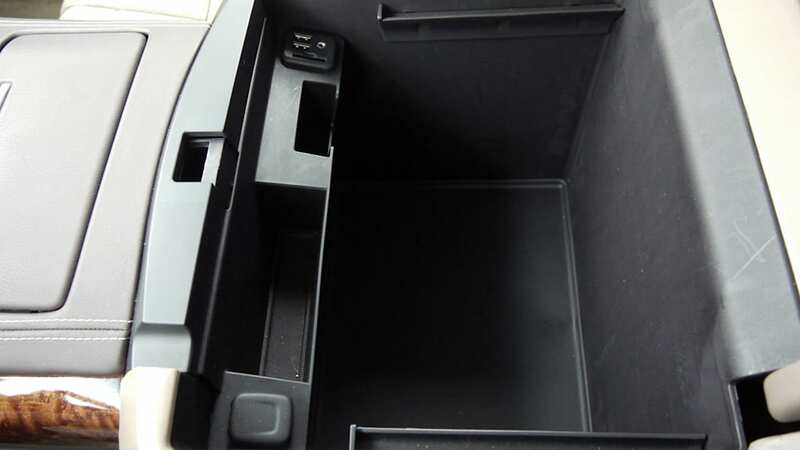 The center console is dominated by an eight-inch LCD screen in LT and LTZ models, with a cubby hidden behind. 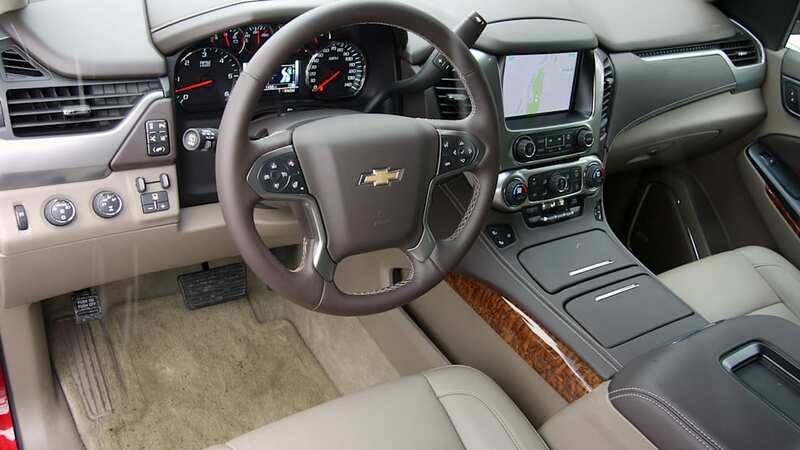 That touchscreen features Chevy's MyLink infotainment system, which includes, among other things, Bluetooth, Pandora and, when so equipped, navigation. 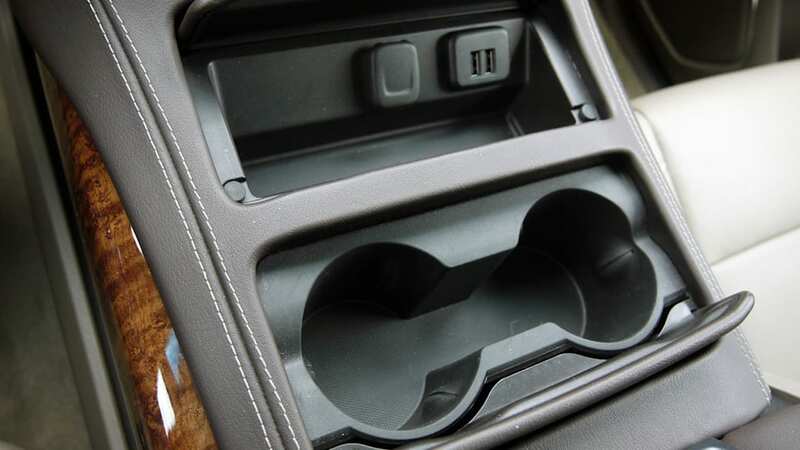 As many as six USB ports and six power outlets can be found inside the Tahoe for today's totally connected families – that's 12 devices drawing power from the Tahoe at once. 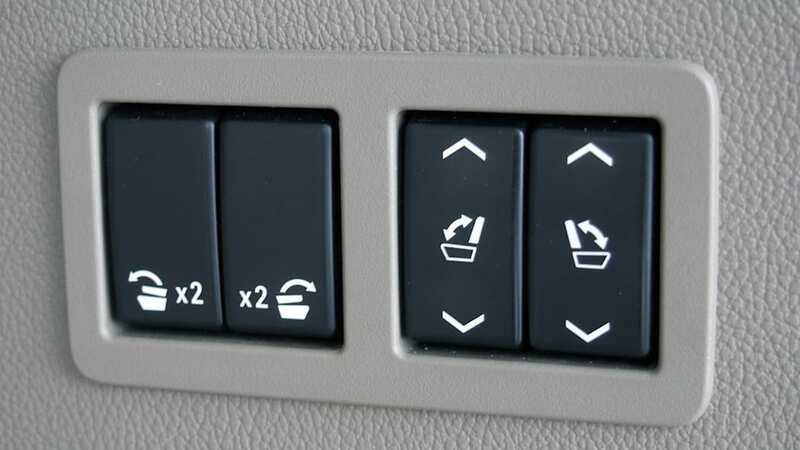 All in, some 10 separate devices can be linked to the infotainment system. 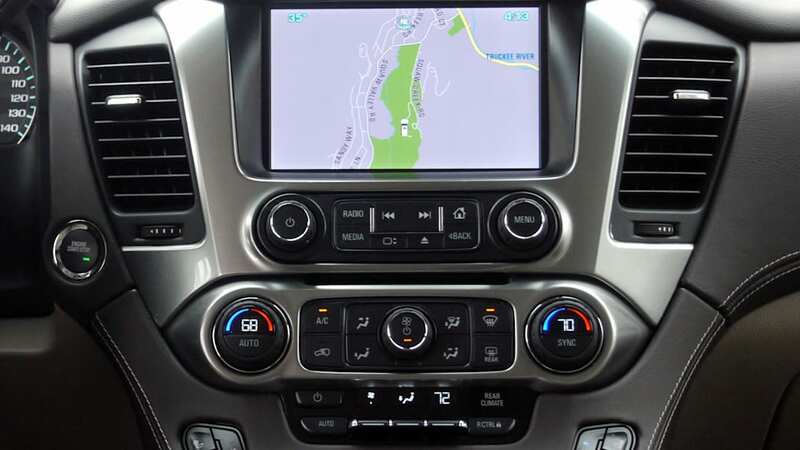 Some 10 separate devices can be linked to the infotainment system. 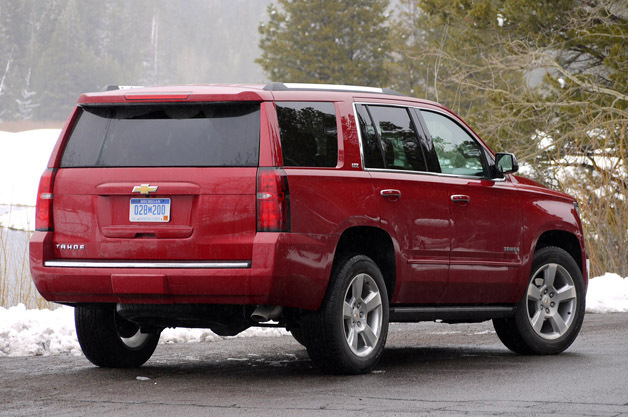 And that leads us to the Tahoe's first easily discernible virtue: size. 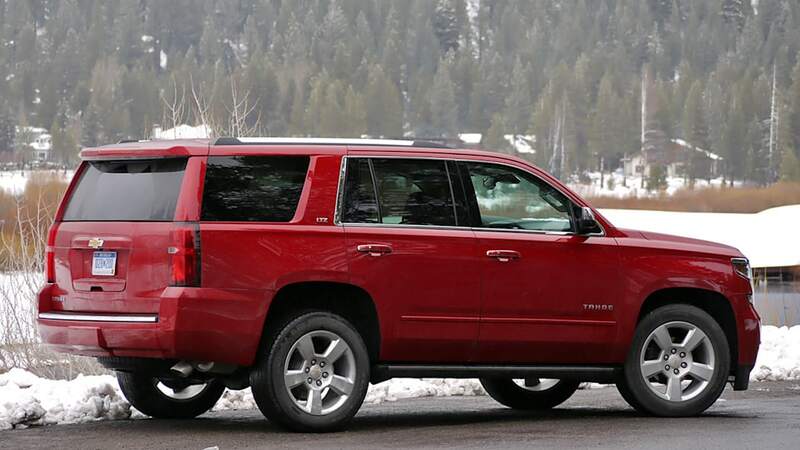 There's no getting around the fact that the Tahoe is a large vehicle, measuring in at 204 inches in length on a 116-inch wheelbase. It is 80.5 inches wide, with a 68.7-inch track. 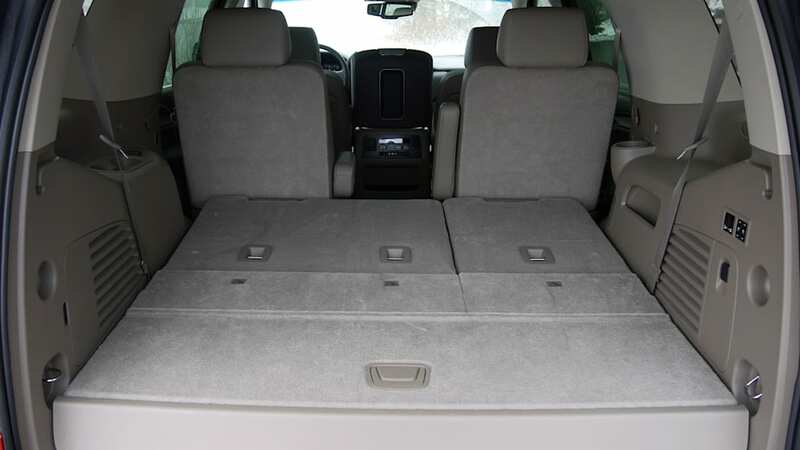 If that doesn't mean anything to you, consider this: maximum seating capacity sits at nine, and even when fully loaded with people, there's still 15.3 cubic-feet of storage space in back, which is comparable to the trunk size of a midsize sedan. If you don't need all those seats, fold the third row flat (a new feature for 2015) and you'll be rewarded with 51.6 cubes with which to fill. 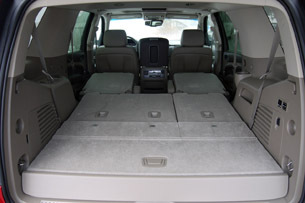 Fold all but the front seats flat and the Tahoe will swallow a truly impressive 94.7 cubic-feet of stuff. 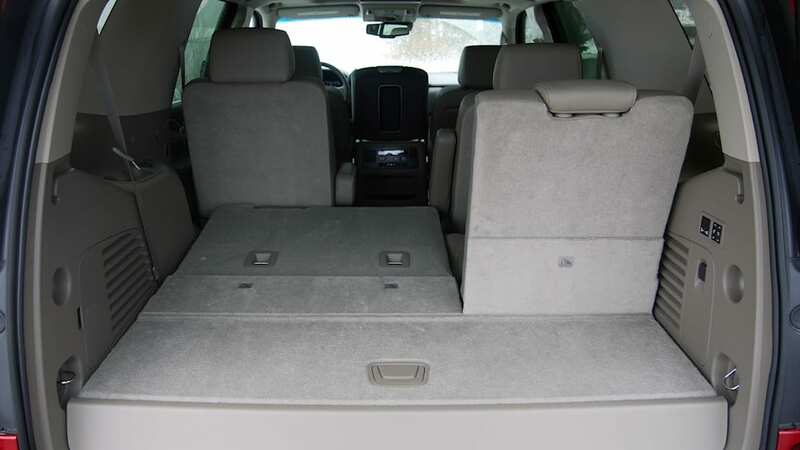 Besides other fullsize SUVs like the Ford Expedition, Nissan Armada and Toyota Sequoia, the only kind of passenger vehicle with comparable specs would be a minivan, but those have their own set of limitations. Got a boat? A family-size travel trailer? Dirtbikes, jet skis or a classic car? No problem. 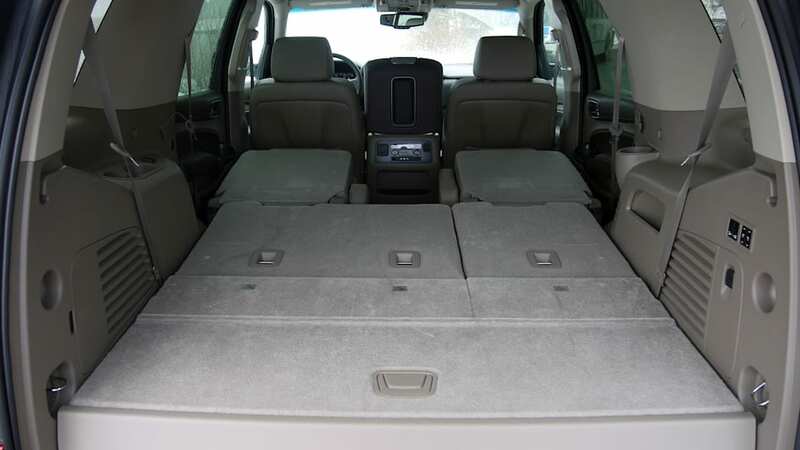 The 2015 Chevy Tahoe can tow as much as 8,600 pounds (minus 200 lbs for 4x4s), far exceeding that of any minivans on the market. It's also available with real, honest-to-goodness four-wheel drive, which means it can find traction in adverse conditions and can get places where less-capable machinery has to find a place to park. 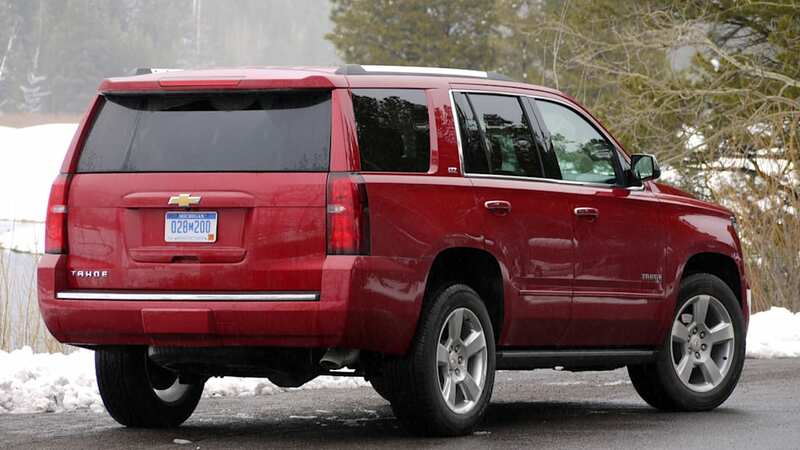 Much of the Tahoe's machoness comes from its pickup-based genetic makeup. 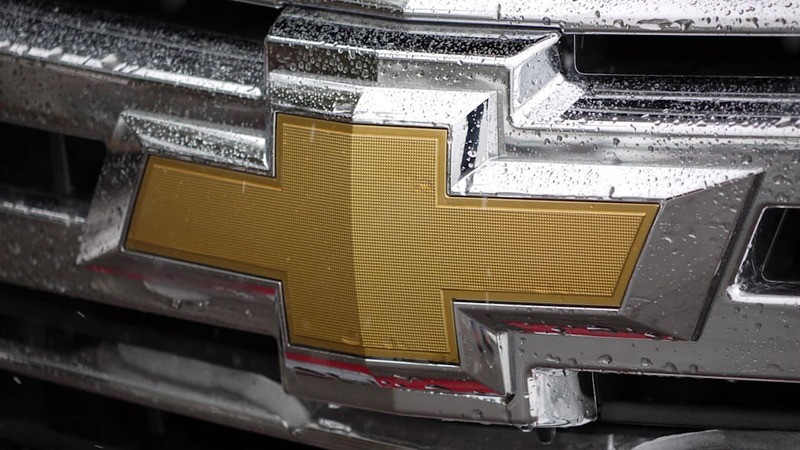 While most utility vehicles on the market today have long since abandoned a perimeter frame, opting instead for lighter unibody construction, Chevrolet continues to bolt the body, powertrain and suspenders of its fullsizer to a fully boxed steel frame. This, while hopelessly out of fashion in today's automotive world, has a few benefits, not the least of which is its ability to haul heavy loads, as previously discussed. The Tahoe can tow as much as 8,600 pounds. 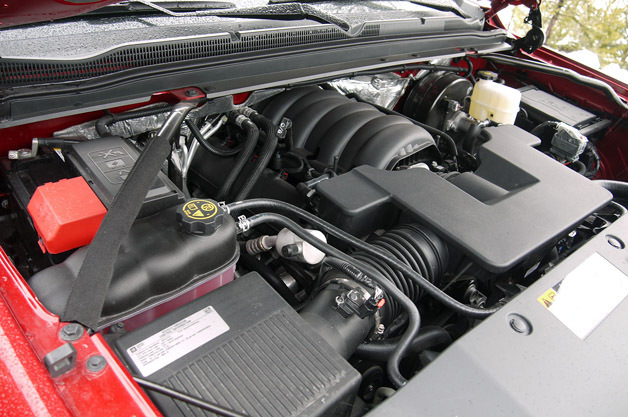 Drawbacks, however, are often seen as outweighing factors – (usually) poorer efficiency due in part to higher weight (in this case, 5,466 pounds with two-wheel drive or 5,683 with four-wheel drive), and, due to the fact that they require multiple pieces to make a whole (as opposed to a single unibody structure), a rougher ride and a general sense of shimmying and shaking. 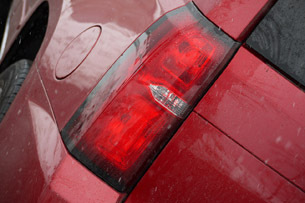 Starting with the latter, we're happy to report that GM has done an excellent job of assuaging those on-road jitters. 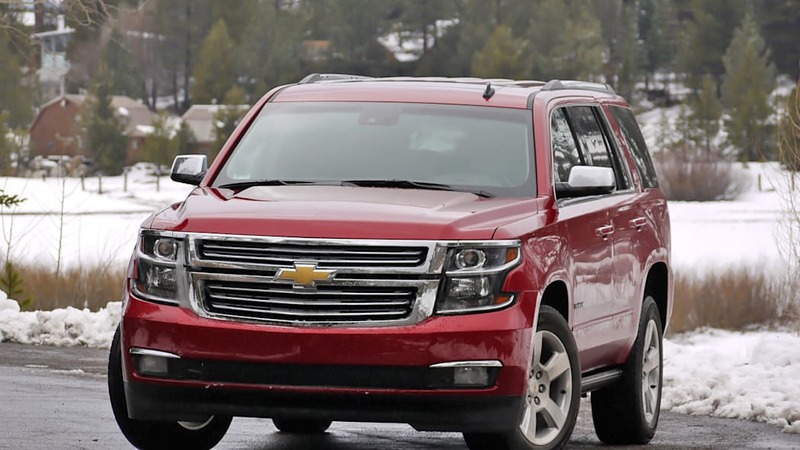 The 2015 Chevy Tahoe rides rather well, with a quiet confidence on rough roads that feels like at least a match for any of its competitors. 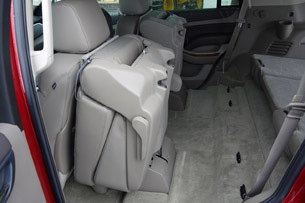 The Tahoe's ride and handling have been improved over its predecessor thanks to a number of engineering refinements that include a wider rear track and revised suspension geometry that includes a new cross-axis ball joint, more high-strength steel, shear-style body mounts and available Magneride magnetic ride control. 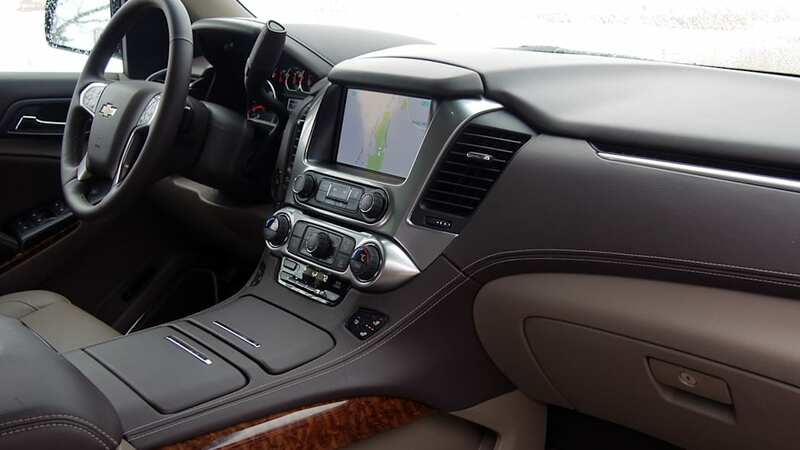 Most of these updates are inherited from the latest Silverado and Sierra pickup trucks, but the magneto-rheological shocks, which come standard in LTZ trim, is worth mentioning. 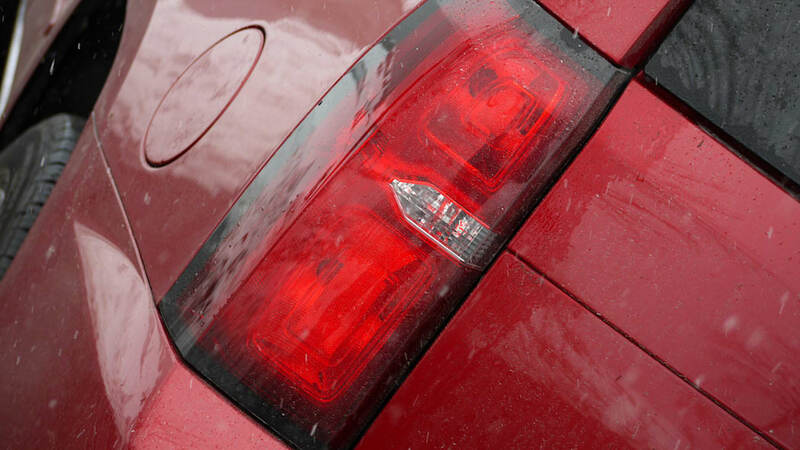 The technology, well known for its appearance on Chevy's own Corvette as well as Ferrari models, is capable of adapting its damping characteristics in as little as 10 milliseconds in response to changing road conditions. Suffice it to say that the technology works as advertised, offering a smooth ride and responsive handling in one package with no extra work required of the driver. Buyers who choose LS or LT models receive much more basic twin-tube shocks and coil springs that are as much as 30-percent stiffer than before, while the Z85 package that comes with a heavy-duty trailering package benefits from a load-leveling rear suspension. Neither of these suspension systems is as fancy or functional as Magneride, but they certainly do a fine job of isolating passengers from the most jarring of roadway infractions. Eighteen-inch wheels come standard with P265/65R18 tires, and buyers with a thing for bling can option those all the way up to 22 inches in diameter. 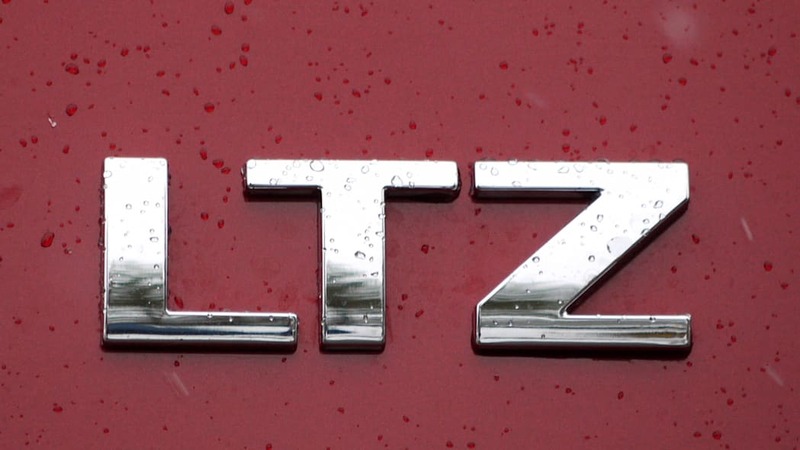 That said, we would recommend exercising some restraint in that department, as the 20-inchers of our LTZ test car struck a fine balance between looks, ride and handling. 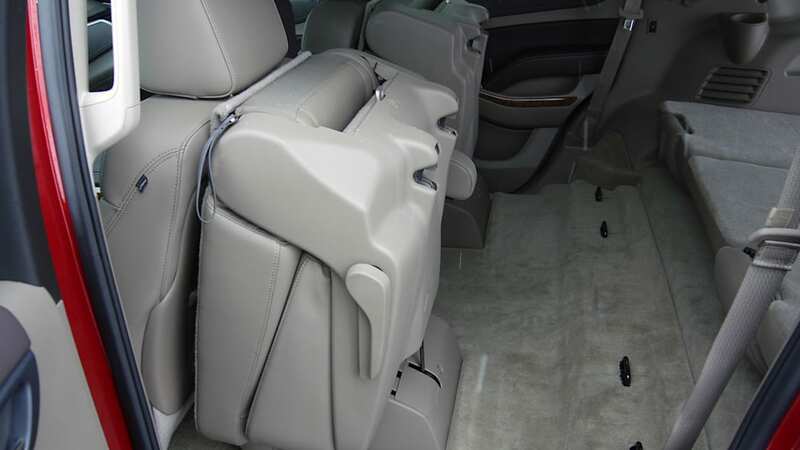 The 2015 Tahoe is also commendably quiet, though the Yukon is a bit quieter still due to its more extensive use of sound-deadening glass. 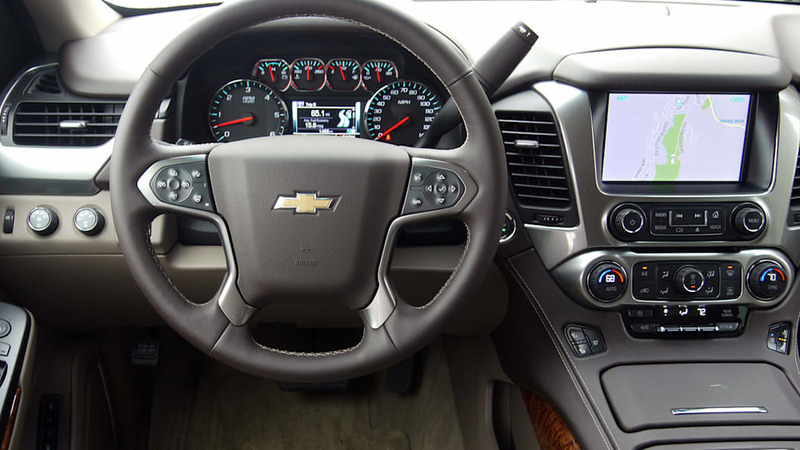 Chevy has done an excellent job of tuning the steering for its latest fullsize SUVs. New for 2015 is an electronic steering system that replaces the old tried-and-true hydraulic setup. 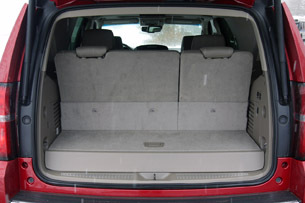 While enthusiasts sometimes bemoan these variable units, we found that Chevy has done an excellent job of tuning the rack for its latest fullsize SUVs. Little effort is required to turn the wheel at low speeds, as when maneuvering in a parking lot, and the effort stiffens admirably at higher speeds, giving a solid feel of straight-ahead steadiness. Tahoe, Suburban and Yukon buyers will all benefit from Duralife brake rotors inherited from the company's fullsize pickups. GM says these units are far more durable than conventional rotors, making them extremely resistant to warpage that can be felt through the brake pedal, if not the steering wheel. We found the brake pedal reassuringly firm, and that's comforting when piloting such a large vehicle full of precious cargo... like seven human beings. 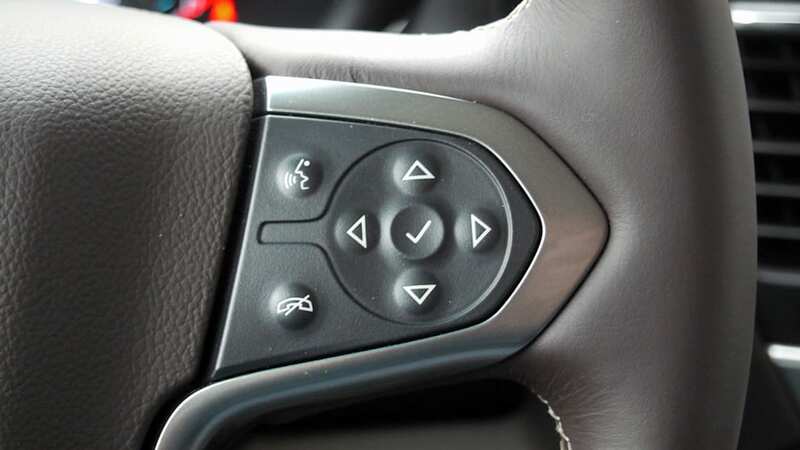 We also appreciated the power-adjustable brake pedals fitted to our LTZ test vehicle, though we noted that the brake pedal was positioned unusually closer to the driver's foot than the gas pedal. 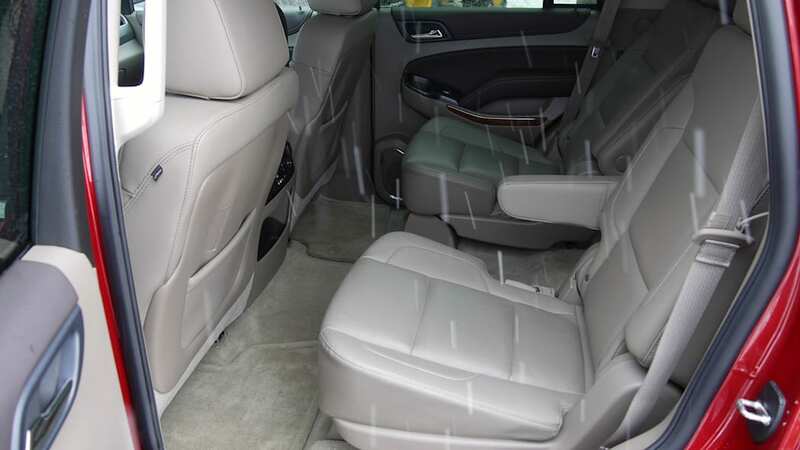 We got used to the arrangement in short order, and we don't imagine anyone doing any heel-toe action in the big SUVs as there's no clutch pedal, but your mileage may vary. 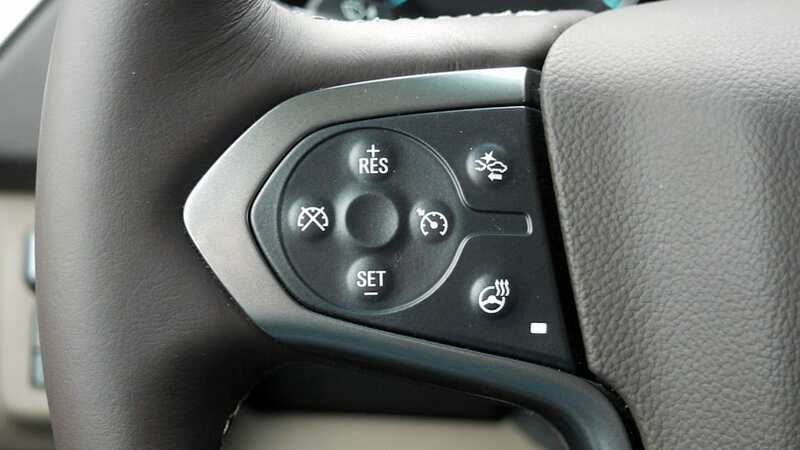 GM includes a full suite of driver assistance technologies as standard equipment, including StabilliTrack, ABS, trailer sway control and Auto Grade Braking, which downshifts on long descents to help preserve the brakes while keeping vehicle speed in check. 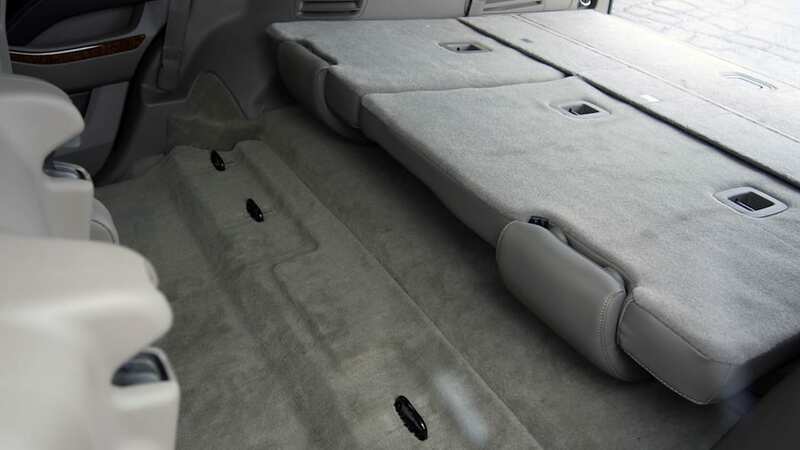 The 6.2 was optional in the Tahoe for a few years, but buyers almost never wanted it. 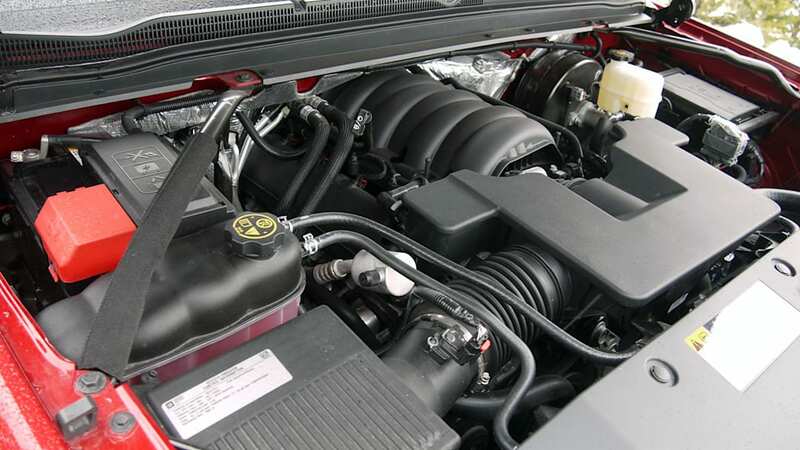 In any case, GM's 5.3-liter V8 engine offers lots of technology to keep it current, including direct injection and variable valve timing, which, along with active cylinder deactivation that turns this V8 into a V4 when ultimate power isn't required, equals EPA-estimated fuel mileage ratings of 16 miles per gallon in the city and 23 highway for two-wheel-drive models (22 on the highway with four-wheel drive). 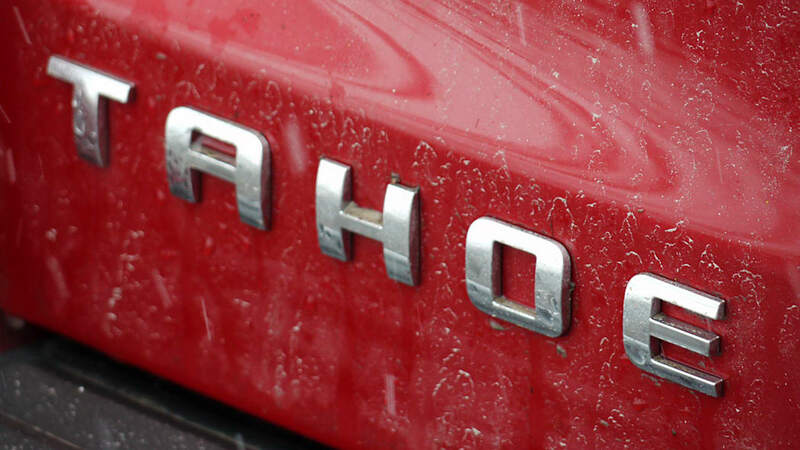 Due to improved efficiencies across the entire Tahoe platform, we noticed that the 5.3-liter engine was able to operate on four cylinders much more often and for longer periods than past systems from GM, and the switch between the two modes was truly seamless. As an interesting little factoid, GM notes that its very first small-block V8 engine appeared on the scene in 1955, displacing 4.3 liters and putting out 145 hp and 238 lb-ft as an option in the '55 Chevy Suburban. It's also worth noting that Chevy offers different power ratings for its 5.3 engine when run on E10 fuel and when run on E85. 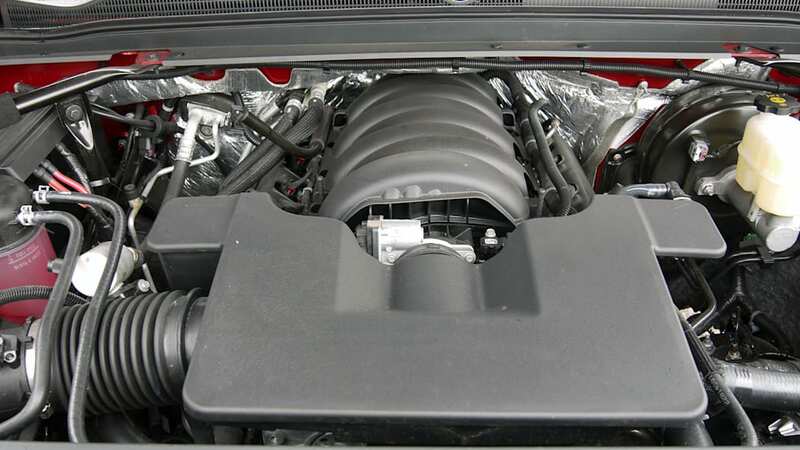 When filled with 85-percent ethanol, the V8 spits out 380 horses (35 more than on E10) and 416 lb-ft (33 more torques). Score one for the higher octane ratings offered by ethanol, eh? 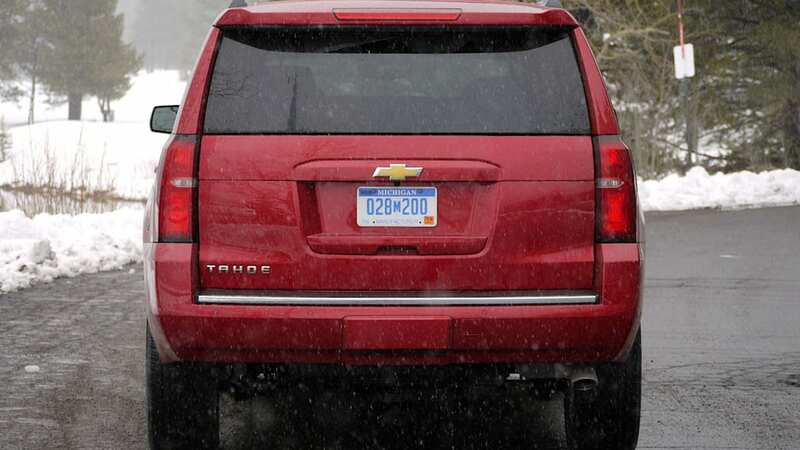 There aren't separate fuel economy listings on the differing fuels, though, and we'd expect Tahoe drivers to lose a few mpg on E85. 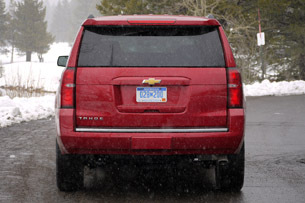 The 2015 Tahoe is easily the leader of the fullsize body-on-frame SUV pack. Several paragraphs back, we mentioned some key competitors, namely the Expedition, Armada and Sequoia. 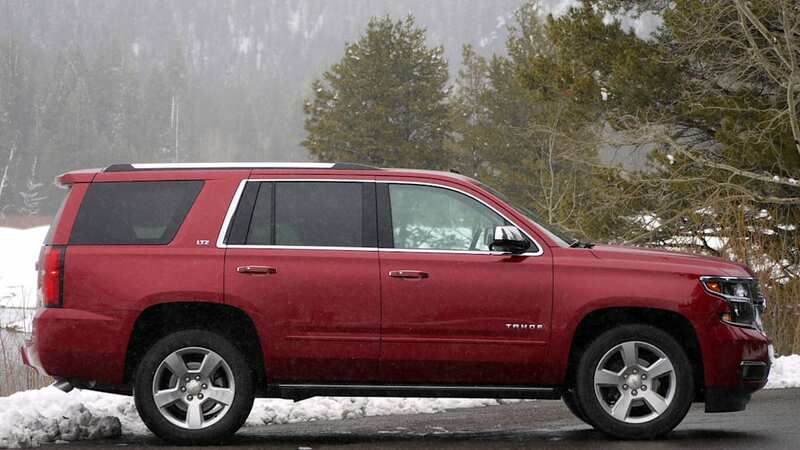 With a starting price of $45,595, the Tahoe is priced in line with its segment, though it's easy to push the LTZ, which starts at $60,490, up into the low $70s with all its many option boxes checked (and for that price, we'd be keen to look at the Yukon Denali). 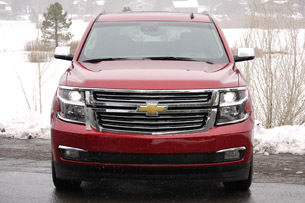 These vehicles offer a similar size and a similar number of seats to the Tahoe, and they offer powerful V8 engines, just like the Chevy. But none of them have the polish or poise of the Bowtie's big SUV, and neither can they claim anything near the Tahoe's 16/23 estimated mpg (all three of those competitors scores just 13 or 14 mpg in the city, and highway ratings range from the Toyota's 17 mpg to the Ford's 20). 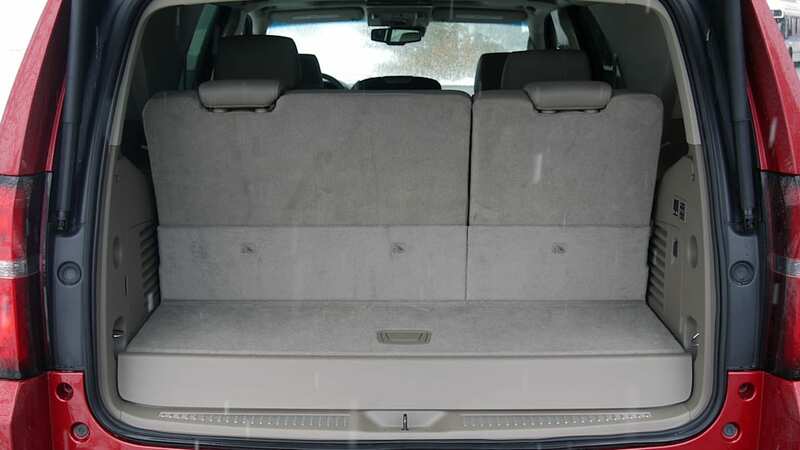 Put simply, if what you need is a big sport utility vehicle to haul your family, your stuff or some combination thereof, the 2015 Tahoe is easily the leader of the fullsize body-on-frame SUV pack. And, with its newfound comfort and efficiency, we imagine that the beastly SUV-asaurus will manage to evade its grave for several more years, at least.